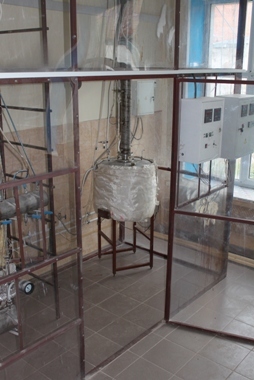 Main destination of the unit is workout of procedures for treatment of reusable solvents and monomers utilized at synthesis of ethylene-propylene rubbers. 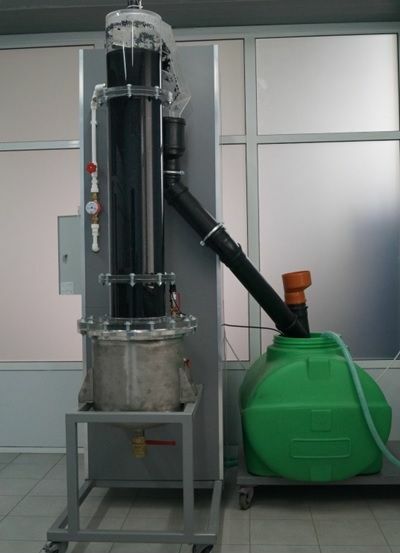 The unit can be easily altered to treat activators and modificators utilized at synthesis of different rubbers. 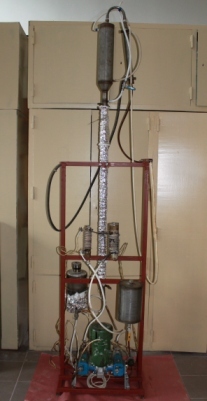 Originality of the pulsating method of extraction is in the continuous technological transportation through a column-type apparatus of a solid dispersion in the form of a dense bed in the non-stationary, counterflow regime by applying low-frequency impulses of pressure (pulsations) from the external system to the liquid (extractant) without using any internal, mechanical, transporting devices (screws, augers, rotors, etc.). 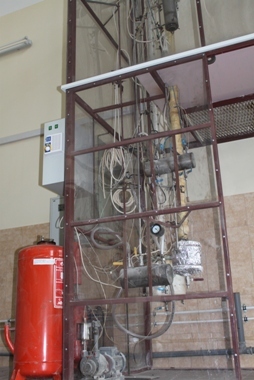 Diameter of the working zone of the experimental unit is 250 mm, and the height is 1.6 m.
EPC “Ingehim” develops and implements pulsating-type apparatuses for heat & mass transfer and reaction processes for the chemical, petrochemical, pharmaceutical, food and other industries. dp – pressure drop, Tt – temperature at column’s top, Tb – temperature at column’s bottom, Xt – product composition at column’s top, Xb – product composition at column’s bottom, X1 – X10 – product composition in 10 points along the column’s height. 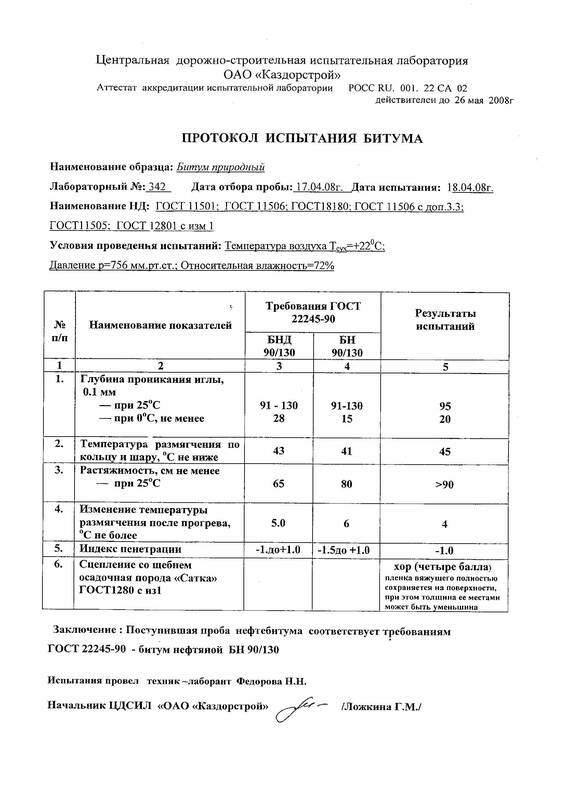 Operation of the unit is based upon EPC “Ingehim” ‘s in-house patented technology (Russian patent: No.2371468). 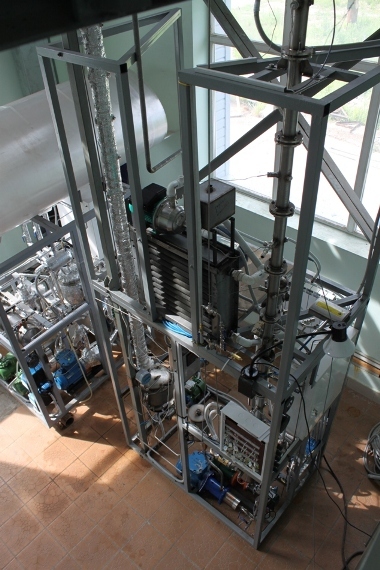 The unit depicted in the photograph was used to process oil from Ashalchinskoe oil field (Almetyevsk, Russia). 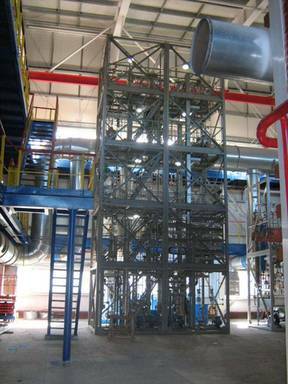 Produced was unoxidized bitumen of grade BND-90/130. 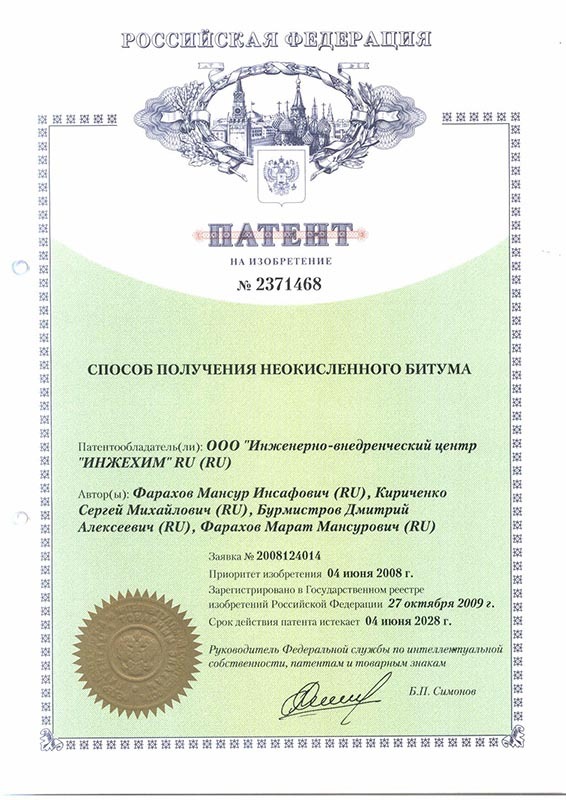 Quality certificate for the bitumen is enclosed. 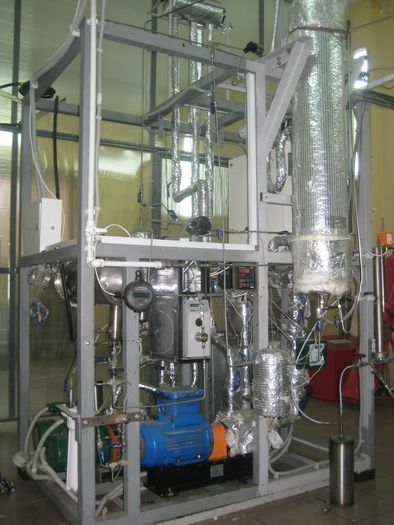 EPC “Ingehim” offers service in designing and delivering, “on turn-key basis”, pilot and experimental units operating in the real environments destined for studying chemical and heat and mass transfer processes (distillation, absorption, desorption, adsorption, extraction). 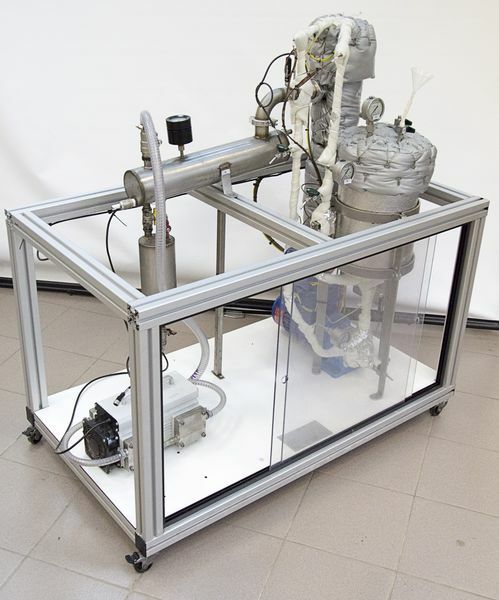 To order our pilot or experimental units, please, provide us with all requirement specifications for the desired units through e-mail.